According to an official count, Texas has 595,000 registered boats, ranking it 6th in the country. Every year thousands of Katy and Harris County citizens plan a trip to go boating or swimming with their friends on Lake Brownwood, or a farther trip to one of the many rivers and bays in other parts of Texas. Most of the time, these trips create fond memories of summer. Unfortunately, however, not every trip to Lake Brownwood around Katy ends happily. If you or a loved one have been injured in a boating accident, contact a boating accident attorney immediately because you only have two years from the date of injury to file your claim. A Katy boat accident lawyer will look out for your interests and provide you with advice on the best course of action. What are the common causes of boating accidents? 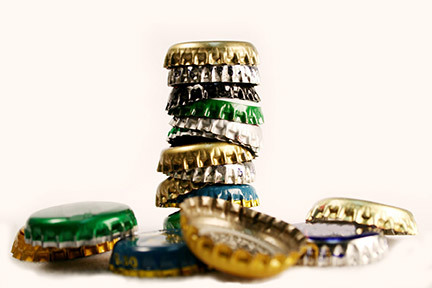 One of the largest factors in boating accidents is alcohol. It is well documented that a person’s reaction time is hindered when under the influence of alcohol. According to BOAT US, in fact, alcohol plays a role in 50% of all boating accidents. In Texas, laws similar to those governing drinking and driving apply to incidences of drinking and boating. Game Wardens enforce the Boating While Intoxicated (BWI) law, and any person who appears impaired by alcohol use and/or who has a blood alcohol level (BAL) of 0.08 or above while operating a boat can be arrested for BWI. An arrest for BWI can carry up to 180 days in jail, a fine up to $2,000, or both. Moreover, any person caught drinking and boating can have their drivers’ license automatically suspended. The bottom line is that the State of Texas will not tolerate boater recklessness, especially when drinking is involved. In addition to drinking, many boaters fail to take into account that they will be out in the sun all day. As a result, they are more likely to become drunk from less alcohol due to the dehydration from the sun. The best way to ensure a safe boating experience is to have the person driving the boat not drink alcohol. Boating and drinking do not mix! Another common cause of boating accidents is the weather. While Texas generally has ideal, sunny weather, when you are out on the water a small storm can easily lead to tragedy. The combination of high winds, rain water, and swells of the waves or wake from other vessels can easily lead to boats colliding or turning over. It takes an experienced boater to be able to weather a storm in a boat. In addition to storms, the sun reflecting off of the water leads to increased chances of boaters to suffer from heat stroke and heat exhaustion. When suffering from heat stroke or exhaustion a common symptom is to faint and if the boater is boating alone then while he is unconscious there is an unmanned vessel on the water. Obviously, this can lead to serious injury. Finally, the most common cause of boat accidents are inexperienced boaters being put into dangerous and unfamiliar situations. Similar to the road, the waterways have rules that govern how boats are supposed to interact when passing one another. When one person fails to know these rules it can easily lead to boating accidents. To learn these rules, every boater should take a boater safety course. Click here to go to the Official Texas Boating Safety Course, developed for the Texas Parks and Wildlife Department. There is no excuse for a person that plans to man a watercraft not to take a boater safety course. Some of the courses only charge if you successfully complete the course. On top of that, the course will likely pay for itself because, after certification, you can talk to your boat insurance company about lowering your boat insurance premiums. Wearing life jackets save lives. Designate a driver. Sober boating saves lives. Who is responsible and what can I recover if I hire a Katy Boat Injury Lawyer? Typically the person who caused your injury is who your Katy Boat Accident lawyer will sue to make you whole. Under Texas law, a person is responsible for your injury if they acted negligently. 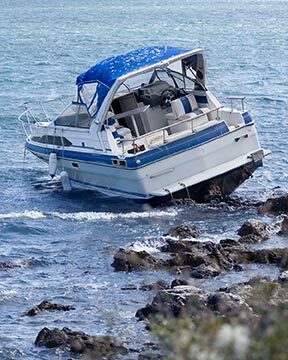 It is important to contact a Katy boat accident attorney or Harris County boat injury lawyer because, depending on the facts of your boating injury, you may be able to sue other parties in addition to the person who was driving the boat. As a state with the sixth most boats in the entire country, Texas has an extremely comprehensive statute governing boating and water safety. As referenced, the Texas Water Safety Act is a tool available to Katy personal injury lawyers and it is essential that your Texas boat injury lawyer be fully aware of its contents. DotCO Law Marketing, L.L.C. has published, in this site, the entire Act for your reading. Click here to read the full text of the Texas Water Safety Act, and here if you would like to read a concise summary of its main points. Many boating accidents occur at night when people are coming in after fishing all day. Unfortunately, many times they do not want to end their fun, and they stay out on the water well past dark, creating a more dangerous boating situation. Too many times, small fishing boats are not equipped with running lights or radar, causing collisions between boats. Injuries sustained in these collisions can be very dangerous and can sometimes also result in a drowning. This is especially true because people dislike wearing life preservers, or personal flotation devices (PFDs), and if you are knocked unconscious, this can easily cause you to drown. If you have suffered an injury as a result of another boater’s failure to properly follow the rules and regulations required by Texas law, contact a Katy boat accident law firm. If you are a duck hunting enthusiast, then there is nothing better than getting in your duck boat and taking it out for a hunting trip. As a duck hunter, you know that the sport presents numerous risks for injury, ranging from gun misfires to accidental shootings. In addition to the regular dangers of hunting, duck hunting adds to the equation a large list of boating dangers, such as running the boat aground and boat collisions. If you have to utilize a boat to get to a blind and someone is injured in the boat due to the driver’s negligence of the, contact a Katy duck boating incident lawyer today. If you have been in a Southeastern Texas boating accident or have witnessed one you must stop and provide whatever assistance is necessary to the victims of the accident. 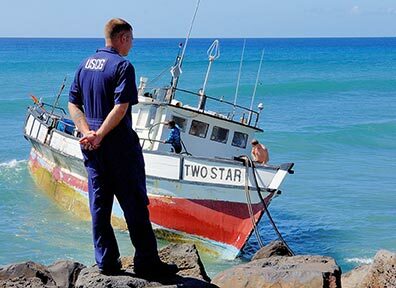 This duty, however, does not require you to provide assistance that will place your boat or its passengers in danger. Also, you should always report any significant accident to the Texas Parks and Wildlife Department. A significant accident would include situations where there is a death, a disappearance suggesting serious injury or death, bodily injury to at least one party requiring medical attention beyond simple first aid, or property damage over $500, including damage to surrounding docks or boats. As soon as possible, you should submit an accident report. Click here to download the Texas Boating Accident Report Form. If you have to report a boating accident please contact a boating accident lawyer to assist you in preparing the forms that Texas law requires you to fill out to ensure that your interests are protected. Does Texas law require me to have any specific equipment on my boat? In Texas, outboard motorboats less than 26 feet long of open construction and not carrying passengers for hire, are not required to carry fire extinguishers. Fire extinguishers are required if one or more of the following conditions exist: (1) Closed compartment under thwarts and seats wherein portable fuel tanks may be stored. (2) Double bottoms not sealed to the hull or which are not completely filled with flotation material. (3) Closed living spaces. (4) Closed storage compart­ments in which combustible or flammable materials are stored. (5) Permanently installed fuel tanks. (6) Inboard engines. Fire extinguishers should be U.S. Coast Guard approved. The Texas Water Safety Act specifies further detail for which types of fire extinguishers are acceptable and when they are necessary. PFDs must be U.S. Coast Guard approved, in serviceable condition, readily accessible, and of the proper size for each person on the boat. Children under 13 years old in any vessel under 26 feet long must wear a U.S. Coast Guard approved PFD while underway. Underway is defined as not at anchor, made fast to the shore, or aground. All vessels, including canoes and kayaks, must be equipped with PFDs. Vessels 16 feet and longer, except for canoes and kayaks, must be equipped with a particular type of PFD for each person on board. Specific rules and restrictions apply to the use of inflatable PFDs. For a full explanation, please consult the Texas Water Safety Act. Every motorboat towing a person must either have an observer, other than the operator, who is 13 years old or older OR is equipped with a rearview mirror at least four inches, measured from bottom to top and side to side. When not at dock, all vessels, including motorboats, canoes, kayaks, punts, rowboats, rubber rafts, or other vessels must have and display at least one bright light, lantern, or flashlight visible all around the horizon from sunset to sunrise in all weather and during times of limited visibility. Click here to read further requirements for boat navigation lights. Any vessel less than 12 meters long (39.4 feet) is required to carry a whistle or horn, or some other means capable of producing an efficient sound to signal intentions and position in periods of reduced visibility. Vessels 12 meters (39.4 feet) long or greater are required to carry a whistle or horn and a bell on board. Gasoline engines installed in a vessel after April 25, 1940, with the exception of outboard motors, must be equipped with an acceptable means of backfire flame control. The flame control device must be properly attached to the air intake with a flame-tight connec­tion. Additionally, the device must be U.S. Coast Guard approved or comply with SAE J­1928 or UL 1111 standards and marked accordingly. All motorboats in Texas must be equipped with an exhaust water manifold or a factory ­type muffler installed on the engine. 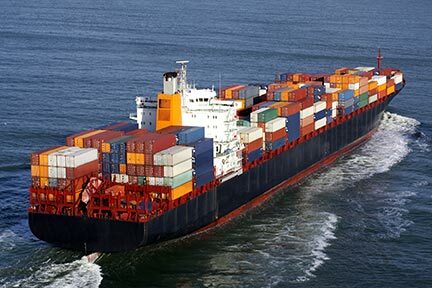 Click here for a full explanation of Texas Safety Requirements for Vessels. The Texas Parks and Wildlife Department’s Boating & Fishing website has extensive information regarding boating and fishing laws, requirements, safety practices, and more. Click here for a variety of legal forms relevant to Texas boaters, including Accident Reporting, Title and Registration, Vessel/Boat Records Maintenance, Release of Lien, Lien Foreclosure Sale, and a number of other forms that may interest you if you are a boat owner or have been involved in a Texas boat collision. Click here for online boat registration. The Texas Water Safety Act sets for rules governing boater education, required safety equipment for personal watercraft, operation of vessels and minimum age requirements, Texas boat registration and title requirements, transfer of vessel ownership, requirements for boat identification, boat certificate fees, operation of a boat in another state, and abandonment or destruction of a boat or vessel. Additionally, it explains what safety equipment is required on all Texas boats, mandatory vessel inspection by Texas game wardens and other peace officers, accidents and casualties related to boating, and the duty to stop and render aid. Finally, the Act sets forth penalties, punishments, alcohol and intoxication offenses, and a number of other provisions relevant to all Texas boat owners or injury victims. Under the Texas Water Safety Act, the operator of any vessel that becomes involved in a boating accident must stop and render whatever assistance is necessary unless such action would endanger his own vessel, crew, or passengers. Additionally, the operator must give his or her name, address and vessel identification number in writing to any injured person and to the owner of any damaged property. If a driver fails to comply with this provision in an accident that results in death or serious bodily injury, the driver may be punished with a Texas Parks and Wildlife Felony. Failure to comply in an accident that does not result in death or serious bodily injury is considered a Texas Parks and Wildlife Class A Misdemeanor. To read the full text of the Texas Water Safety Act, click here. Additionally, the Texas Parks and Wildlife Department has published a more concise Digest of the Texas Water Safety Act, which you may view here. 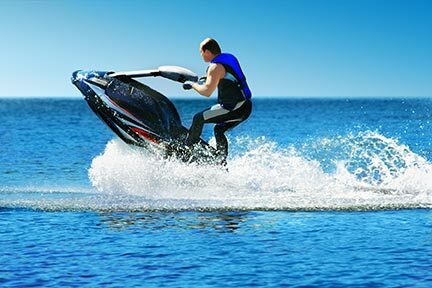 Contact a Katy Recreational Boating Accident Lawyer today for a free initial consultation regarding your boat or jet ski accident.